Coal Buckets made from Galvanized steel 0.45 mm. Available in Black, Black & Brass or Galvanised. Coal Buckets are the perfect fireside companion for keeping a small amount of fuel handy for refuelling your fire. With its rustic looks and slightly rough finish, there's plenty of room for coal in this stylish fireside accessory. Designed to fit neatly by any fireplace, it makes the perfect fireside storage item and its handles make it a doddle to carry coal as well as being a decorative addition to your fireplace, the handles on them allow easy refuelling without the dirt and mess associated with reloading a working fire. 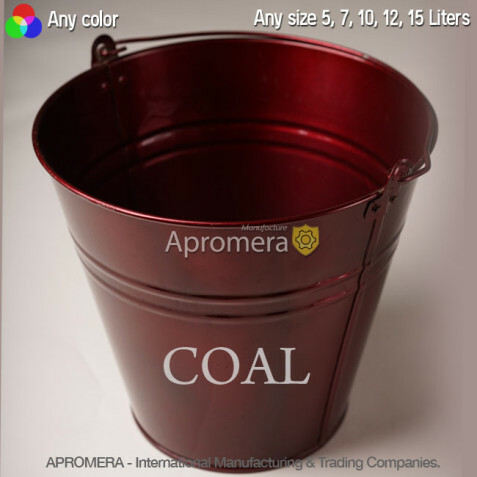 Production Galvanised Coal Bucket – 12 Liters. Reliability and quality of production (tested by the time). 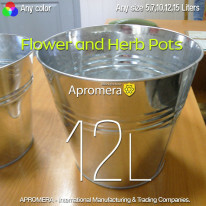 Apromera only delivers services or products conforming to our strict quality standards. Quality is essential for gaining our customers’ trust in the long term. Our factory produces Galvanized Coal Bucket of steel with a thickness of 0.35 to 0.55 mm. 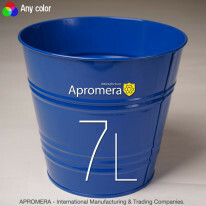 The diameter of handles (for 5, 7, 10, 12, 15L buckets) is 5.0mm. They are made of galvanized steel. Our handles are more comfortable because thicker handles do not cut hands. Additionally, we can install a plastic handle. 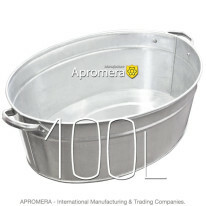 The lug of the Galvanized Coal Bucket is made of 0.45 – 0.50 mm steel. This increases the lifetime of products and their capacity. In the manufacture and assembly of the buckets we do not use welding and soldering, which lead to oxidation of the surface. All the joints are made with the help of seaming as well as using galvanized rivets, which further increases the strength of the products. By assembly of the buckets we do not use welding (we have abandoned it), and specifically: seaming the casing and calendering the bottom of the buckets are made on the seaming machines (at the seaming spot 3-4 metal layers are made up, depending on the product type), which increases the strength and leakage protection of the articles. This process is called rolling. Such buckets develop leakage very soon (This has been checked by test control). Producers usually use welding joints which are less strong and prone to oxidation. 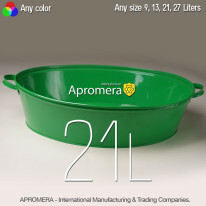 Additional colors for steel Buckets available upon request.